BEEF ISLAND, VI- As it gets colder up north many American and European celebrities are finding their way down to Nature’s Little Secret. Today, November 16, 2016 many workers at the Terrence B. Lettsome International Airport on Beef Island was happy to take photos with professional American Boxer Mike G. Tyson aka Malik Abdul Aziz. Mr Tyson arrived today and is believed to be on his way to Necker Island, owned by Billionaire VI Belonger Sir Richard C. N. Branson. 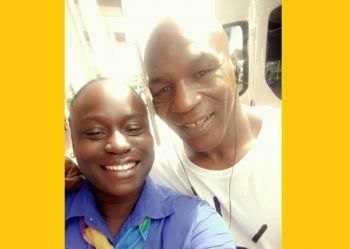 Others believe he may be in the Territory to his getaway private island to promote the boxing match between Leader of the Opposition Hon Julian Fraser RA (R3) and rookie Legislator and Ninth District Representative Dr The Hon Hubert O'Neal. Just last week Hon O'Neal promised to "fist him in the jawbone” in referring to Hon Fraser. Hon O'Neal had said he was mad that a meeting was held in his Ninth District (Virgin Gorda/Anegada) by the Opposition Leader where residents bashed him. 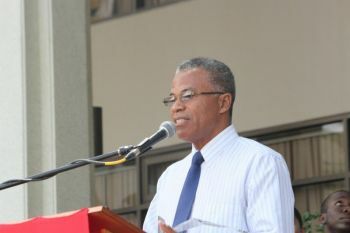 Hon O'Neal, who was successful at the polls in the 2015 snap elections after making four attempts, said he was serious about the blows he would have given Hon Fraser. "If he was anywhere near me, he would find out how much clout I have...." and that he was also willing to do it "in the House of Assembly if necessary." We are not sure if the House of Assembly is being refurbished again this time for the high stakes fight, causing the Budget Address to be postponed! It is believed, according to the Ministry of Finance, that the cost of those tickets may have been equal to that of the 2017 Budget figures. However, Hon Fraser has declined the boxing match and took the high road and asked Hon O'Neal to go and get a lesson in Parliamentary procedures and civility. 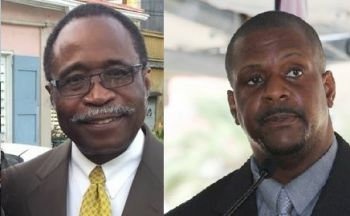 Others were seen tweeting that maybe Hon Fraser aka 'Joe Frazier' is saving his boxing gloves for the upcoming fight with Hon Andrew A. Fahie aka 'Bronx Bummer' for the Chairmanship of the Opposition Virgin Islands Party (VIP) on November 30, 2016. 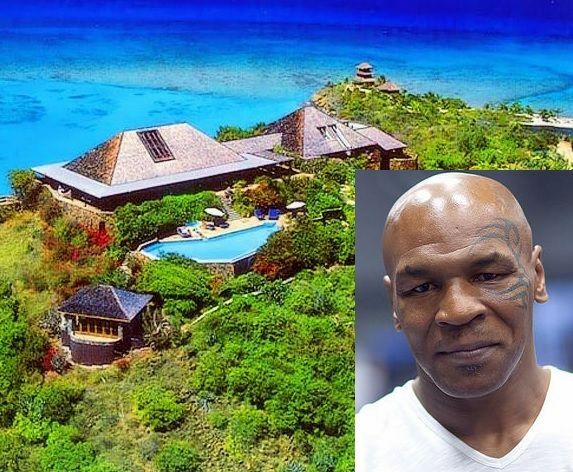 We are not sure if retired boxer Tyson will still be at Necker Island where it costs over $50 Thousand USD per night, but in any case we know retired boxer Tyson can afford to stay that long. Mr Tyson, born June 30, 1966, is a former professional boxer who competed from 1985 to 2005. He held the WBA, WBC and IBF heavyweight titles at 20 years of age. In 1997, in a rematch between Mr Tyson and Evander Holyfield, Mr Tyson was disqualified for biting off a piece of Holyfield's ear. Ms. Heskey it looks like he already bite off your ears. Its very funny how so many people liked your negative comment, shows how many bad minded people are on this island. PS. It is, after all, your own black people. But some of yall just hateful. Criticize every damn thing. Insider -each year at Necker Cup there is a celebrity guests. This year is Mike Tyson. Zero to do with anything government. He can make a guest referee, bertie and fraiser should cease the moment. I going with Bertie in round 9. The guy just want to have a few days of R&R. Lots of famous people vacation on Necker Island. If you have the money you can do it. This is a very fun and sarcastic story that made me smile. Pairing a visit with an iconic boxer with the little tiffs that are happening politically is bemusing and good sarcastic journalism. Well Done. Just a little laughter for day.